HOUSE 2020 (H2020) is conceived as a high performance envelope made up of a flatpack standardised kit of parts with built-in flexibility to suit the particular needs and aspirations of the client in any given context. Keeping a simple, easily repeatable form, the house can be reconfigured to suit the prescribed customer types - young professionals, young family, older family, mature down sizer and their aspirations. H2020 empowers buyers. They can choose the layout and finishes of their homes and upgrade over time as required or if they have more disposable income. This will create the diversity in volume build schemes the buyers wish to see, whilst being economical for Taylor Wimpey. House buyers are more conscious than ever of their impact on the environment and the rising cost of energy bills, with fuel poverty an increasing concern. H2020 is designed to Passivhaus Standards - reducing heating bills by up to 90% and creating a unique base platform enabling all H2020 options to be well equipped to meet future energy standards. 3 options are proposed (Passive, Zero, Plus), all with a high performing ‘reduce before you produce’ base, that can be upgraded when the homeowner decides, when they get older, wealthier or as families develop over time. 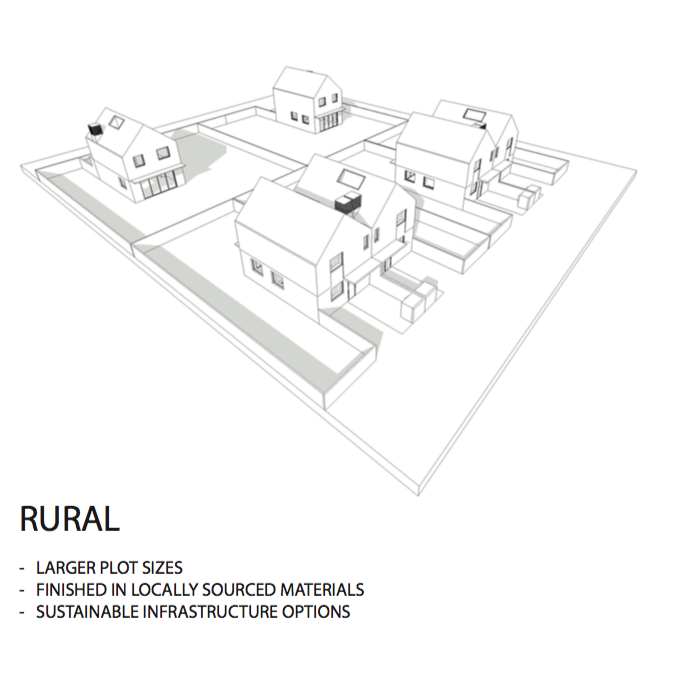 H2020 embraces sustainable policies celebrating economic sustainability (using local material and encourage local trades), environmental sustainability (the use of materials that have a low embodied energy or zero carbon foot print) and social sustainability (giving the opportunity to tailor your own house to your needs and adjust the exterior to context, creating a feeling of individual and community identity).